There isn’t much to say about our last couple of days on the trip. After we left Yellowstone, we stayed in Deadwood, South Dakota in the nicest cabin of our entire trip. The next morning, we saw Mount Rushmore, and drove into Minnesota to sleep before leaving early this morning to come home. Everything kind of ended slowly, with all of us sorry to see the trip end, but looking forward to sleeping in our own beds, with our own showers and real food. Not something from a gas station microwave or out of the cooler. We traveled a staggering 7,500 miles on this trip. We covered 17 states in 13 days and 12 nights. We visited two UNESCO World Heritage sites, eight national parks and monuments and as much Pacific ocean as we could squeeze in. We camped in the tent four nights, stayed in cabins three nights and bunked with my aunt and uncle one night. We stayed in hotels in Hannibal, Mo., Manhattan Beach, Calif., San Francisco and Las Vegas. The Paris Hotel at that. We did all of this without one time getting into a fight. Without much disagreement about where we should go or what we should do. And we stayed pretty well within our budget. Between the three of us, we completed this trip on approximately $3,000. I’m trying to think of a more interesting way to end this chapter of my blog, but I’m really just in awe of what we just completed. I don’t think I’ll ever willingly cover that much ground in such a short time again, but there is nowhere we went that I don’t want to return. That being said, I think everyone should do a road trip like this one. You need to camp. Setting up a tent in the dark in the rain isn’t as bad as it sounds. Just get you a bright lantern and it goes right up. You need to experience new things and see new places. You need to rent a car and beat the tar out of it. Sailor Moon has no tire tread left and needs about two oil changes. Naming the car is also a must. You need a GPS that will get you lost and that has a split personality. And you need to take your closest friend with you and test the bounds of your friendship. There’s nothing about this trip I would change. There’s a lot of things I wish I saw more of and more places I wish we had time to visit. I wish I had more photos of Sacramento. I wish my camera hadn’t died on day two and I didn’t end up with a $40 cheapie from Wal-mart. I wish I had more memory on my computer so I could store more media. I wish I could have made it through the trip without getting walked in on in the bathroom, or mistaking a urinal in the men’s room for a fountain. But all of these things were just part of the adventure. They’re part of the stories we will tell for the rest of our lives. 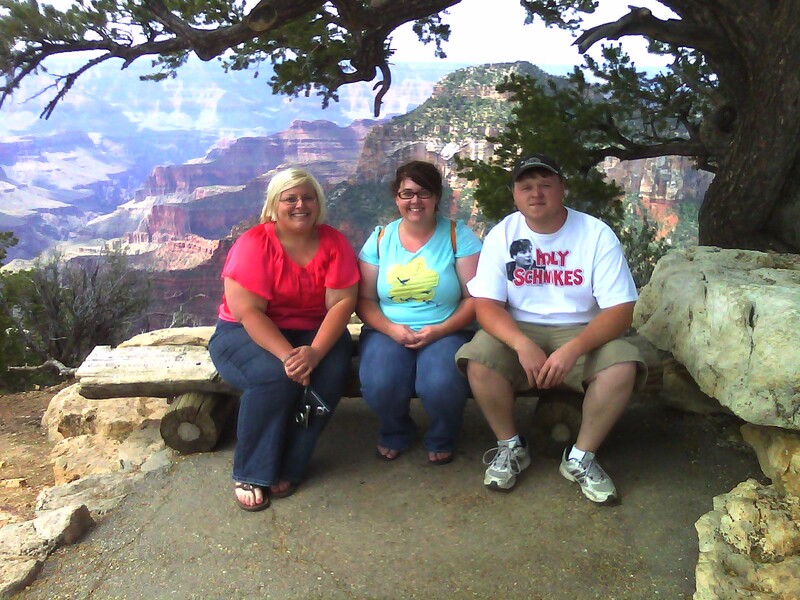 This entry was posted in Epic Road Trips, Gypsy Trip, Road Trip, South Dakota, South Dakota and tagged Gypsy Trip, Mt. 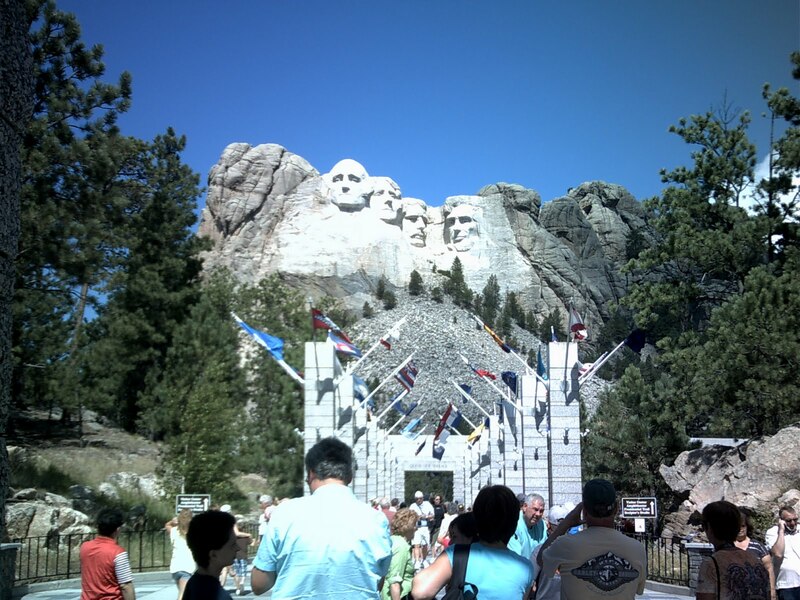 Rushmore, Road Trips, South Dakota by Cassie. Bookmark the permalink.